Medicynical Note: What’s most striking are the poverty rates: 14% overall, 17% for children, 22% for the elderly and income inequality. 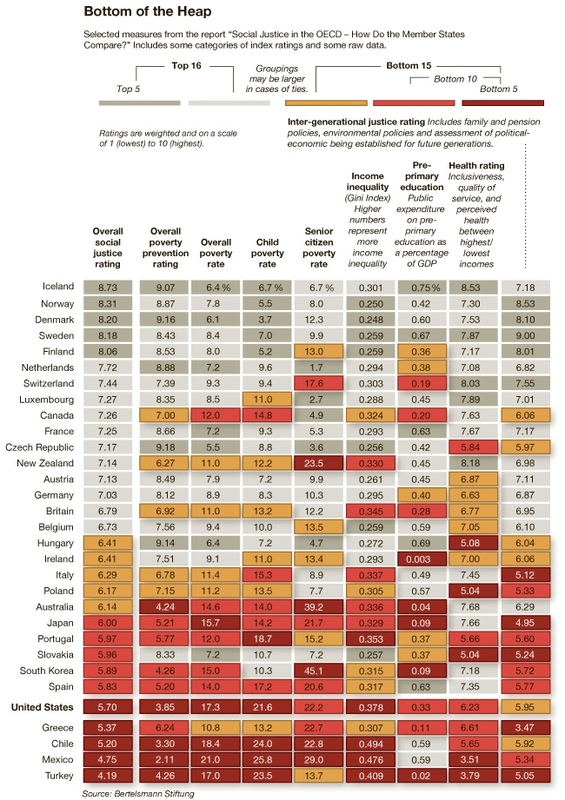 Our comparative expenditures on pre-primary education and finally the health rating of our population are also not very encouraging. Exceptional yes, but in the wrong way.